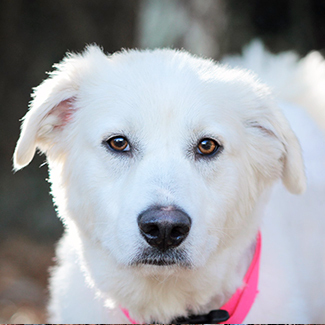 Hi, I’m Winter, a three year old, 51 lb female hoping to find a new family before I have to change my name to Spring so I still match the season! 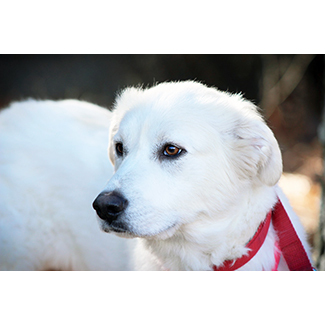 I’m in the middle of growing back my beautiful white Pyr coat (see my pictures? ); there were so many matts, my fur needed a do-over. 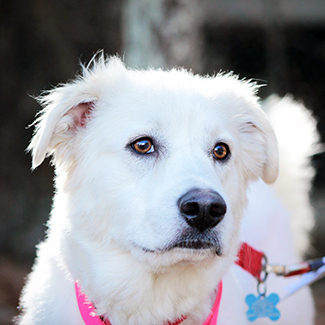 The smart and nice GPRA people can tell you why my first family had to re-home me, I only know I’m mostly a shy, quiet dog who is playful, obedient (yes, I know basic commands! ), friendly, and Pyrfect with all sizes and ages of people. 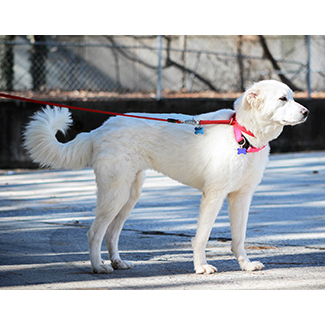 Like any Pyr worth the name, I am a protector. And along with my family, I also protect my food and toys, especially from other dogs. Maybe you will help me learn to share better? 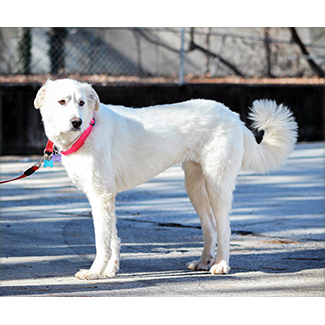 If you’re thinking about it, please email info@greatpyratlanta.com or click the “Apply to Adopt” button below to talk some more. Well, you talk, I’ll listen.